An announcement on Wednesday by Birimian Gold (ASX:BGS) in relation to drilling results from the West Zone of its Bougouni lithium project in southern Mali suggests there is scope for additional resource tonnages, particularly in light of the high grades delineated. 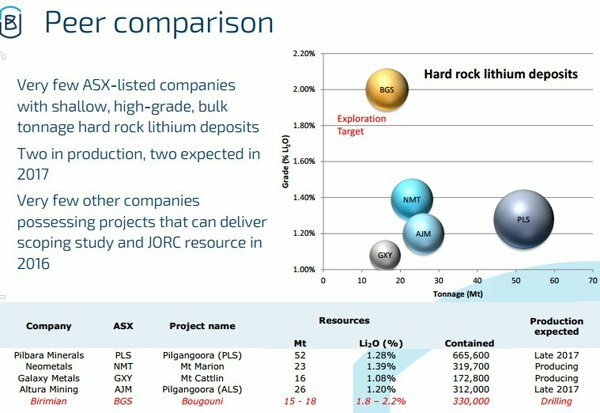 These included 56 metres grading 1.91% lithium dioxide including 8 metres grading 2.35%. The wide zones intersected combined with quality grades suggests the company is better positioned than many other players in the sector to progress a commercially viable project. Given the license tenement spans an area of 250 square kilometres there is the potential to substantially increase the previously estimated exploration target at the Goulamina deposit within the broader Bougouni lithium project. As a backdrop, in March Birimian estimated an initial exploration target at Goulamina in the range of 15 million tonnes to 18 million tonnes at grades between 1.8% and 2.2% lithium dioxide, representing contained lithia in a range between 270,000 tonnes and 396,000 tonnes. Management highlighted at the time that the quantity and grade of the exploration target was conceptual in nature and that further exploration would need to be undertaken to gain a better understanding of the deposit. Developments since then have been extremely positive resulting in the company’s share price increasing from circa 6 cents to a high of 42 cents in mid-May. Since then it has traded in a range between 25 cents and 35 cents, but today’s news has seen it rally 15% to trade as high as 33.5 cents. Given that latest drilling has delineated the widest and highest grade lithium mineralisation at shallow depths, the potential for further news flow driven share price momentum appears strong. However, it should be noted that prior share price performance is not an indication of future trading patterns and this should not be used as a basis for an investment decision. While management’s initial conservative approach should be commended in a sector that at times can run on hype, the company couldn’t be blamed for assuming a more confident stance based on developments since March. With more drilling results to be announced over coming weeks in relation to exploration activity in the West Zone this is definitely a stock to watch, and as demonstrated below in comparing other players in the sector the superior grades being defined in Birimian’s resource are a standout feature. Shallow, continuous, high grade lithium mineralisation over a strike length of approximately 700 metres has been defined at the Main Zone, and deeper drilling has intersected additional broad zones of visible mineralisation beyond 150 metres down dip. Management highlighted that the broad width and moderate dip of the mineralised body should result in highly favourable low waste to ore strip ratios during mining. 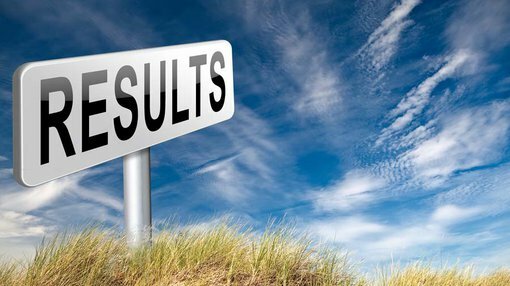 With all drill core samples having been dispatched for geochemical analysis and analytical results pending there is the potential for the company to deliver a double dose of good news in coming weeks. There are also potential share price catalysts in the coming months with the results of recent drilling potentially providing the necessary data for Birimian to establish an initial JORC compliant resource at Goulamina. Such a development would support the scoping study which management expects would be completed before year-end. As a highly speculative stock operating in a region with sovereign risk investors need to exercise a high degree of caution prior to investing in the company. It should also be noted that exploration results achieved to date are not an indication of what may be achieved in the future and any forward-looking statements regarding estimates and assumptions should not be used as a basis for an investment decision.